Ø Always thoroughly check over your work before turning it in. There will not be an opportunity to re-do assignments. Ø Most assignments will be turned in via drop box. You must include your block number and name in front of the file name provided. Example: B1 JohnsonA Cell Phones. Ø Close your document before uploading it to the drop box. Assignments dropped while open will appear in the drop box as blank documents. Ø Check the drop box for your assignments. Ø Assignments must be named correctly and turned in on time. Students who feel they need additional time to complete their work should request an open lab pass. Ø Be ready to begin class when the bell rings. Ø Take care of all personal duties such as bathroom breaks and getting drinks between classes. Ø Take notes from the teacher’s webpage outside of class. Ø Do not copy or provide your work to someone else. Cheating will result in a score of zero. This will be without warning and will apply to all parties involved. Ø Access files to be used and upload all completed assignments using the links on the teacher’s webpage. Ø Do NOT give your passwords to anyone for any reason. Ø Always pay attention to where your files are going or coming from. Ø If you notice something is wrong with your work area, report it to the teacher. Ø Use class time wisely. Being on-task and exerting effort in class will affect your grade. 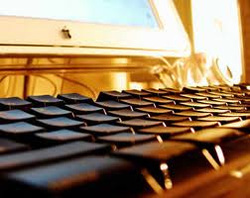 Ø Utilizing the chat feature or any instant messaging is not allowed unless it is specified as part of an assignment. Regular attendance in class is expected. If you know that you will be absent, please ask for your assignments in advance so that they can be completed before your absence if possible. In the event of an unplanned absence, it is the student’s responsibility to find out what work was missed and to complete make-up work in a timely manner upon returning to class. All make-up work MUST be completed outside of class time (before school or during the open lab). To get a pass to the open lab, please see me. You will only receive a pass to the open computer lab during AP if you are working during class time. If you goof off during class, I will not allow you extra time to complete an assignment that you had ample time to complete during class. If you receive a pass for open lab, you must stay in open lab for the entire AP period, please bring extra work if needed. We can also arrange a time for make up work before school if needed. I do not give extra credit. If you would like to raise your grade, please pay extra special attention to your daily work and study for your tests. You will need to have your notes and pen/pencil everyday. Even though this is a computer course, you may still be taking notes, doing worksheets, etc. Class grade consists of tests/quizzes, daily work and use of time. Students and parents are encouraged to check grades frequently using their JMC login. The districts grading scale is included in the student handbook. All student responsibilities as stated. The teacher’s website includes relevant links, assignments, notes, and due dates. I know that when a student is absent, they may need to make up work before school, during open lab, or after school. For every one day of an excused absence, my child has one day to make up the work (immediately following the absence) per the MCC Student Handbook. Per the course objectives and current MCC technology standards, students will need a valid email/Google account which they will use to register for school approved websites. The teacher will not have access to the students’ accounts. It is the student’s responsibility to remember their user names and passwords for each site and keep them secure. Please encourage your student to share user names and passwords with you and to show you what they are working on. Feel free to contact me with any questions you may have. My phone number and email address are at the top of the first page of the syllabus and can also be found through the school website.